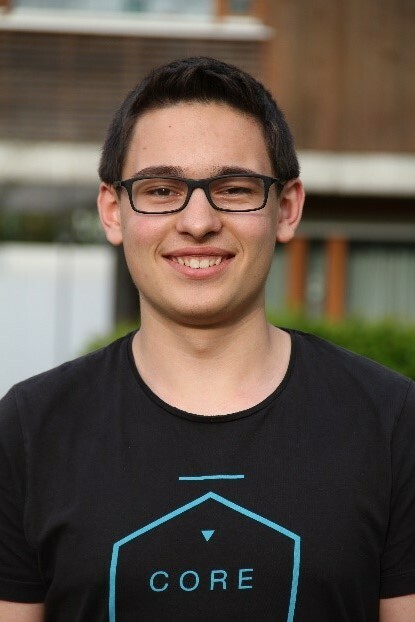 Meet Jonas Bayer, mathematician and one of this year’s 10 out of 200 young researchers participating in the 6th Heidelberg Laureate Forum from September 23-28, 2018. What is your name and nationality? My name is Jonas Bayer and I’m from Germany. Where did you study and where are you currently based? I am currently in my undergraduate education as a bachelor student of mathematics at Jacobs University in Bremen. I really like the international community at our university with more than 100 different nationalities and I’m looking forward to meeting just as diverse people at the Heidelberg Laureate Forum. What is the focus of your research? What is your research project? The research I have done so far is mainly concerned with Hilbert’s tenth problem. This is one of the 23 questions that were posed in 1900 by the famous mathematician David Hilbert at the International Congress of Mathematicians in Paris. The tenth problem asked about Diophantine equations. These are polynomial equations like a²+b² = c² or 3x -5y³ = 0 with integer coefficients. Hilbert posed the question, whether there is a general process that allows one to determine the solvability of Diophantine equations in the integers. In 1970, the Russian mathematician Yuri Matiyasevich could finally answer this problem and showed that such a process does not exist. Together with two other high-school students, I wanted to understand how the proof of Matiyasevich works and then we applied his theory to the Collatz-problem, which is also known as the 3n+1 conjecture. We managed to represent the Collatz problem as a polynomial in 3054 variables using a Computer Algebra System. Then we started a second project on whether one can optimize such polynomials, i.e. we looked for estimates on how many variables and what degree one needs for representing certain problems. Such optimization is expressed in pairs (v, d) of variable number v and degree d, where one aims at reducing both. For this question, answers already existed in the natural numbers that we then extended to the integers. Later we improved our first trivial process, which was technically challenging but lead to interesting new and stronger results. Why did you become a mathematician? Originally, I wanted to study computer science, as programming was always a lot of fun to me during high school. When he gave a talk on his research at my high school, I got to know Prof. Dierk Schleicher. He later convinced me that studying mathematics would give me a more fundamental view on abstract concepts – which I could also experience in the mathematical research I was doing then. Finally, I decided to become a mathematician – still I’d say I am also very interested in (theoretical) computer science. What are some of the fundamental challenges you have faced in your academic career? So far, I can only look back on one year of undergraduate education, which never became boring. The biggest challenge was probably to not only keep up with weekly homework but to also find time to invest in the research that I mentioned above. What do you feel are the greatest pressures facing scientists today? At a conference that I attended a few weeks ago, I had an interesting conversation with Prof. Barry Jay from the University of Technology, Sydney. He said that the currency of economics is money and the currency of science is truth. Using that picture, I would say that our currency devalued in the last years. It is a challenge for all scientists to work against this development and to explain to all people why our methods allow us to draw the conclusions that we make. What are you doing besides research? I have been playing the piano since I was 6 and it is still something I enjoy doing in my free time. Moreover, I like ballroom dancing a lot and joined the ballroom dancing club at our university. How did you hear about the HLF and why did you apply? Interestingly, the HLF already made some impact on my personal development in the last two years. Although I live quite close to Heidelberg, I had not heard of the HLF before 2016. In that year, I got to know Prof. Dierk Schleicher at an international mathematics competition. When back in Germany, I decided that it would be nice to meet again with the competition team and when the HLF took place in September, Dierk was in Heidelberg for the HLF. So, we met to discuss and organize such a meeting. When it took place a few weeks later we started to look at the work of Matiyasevich – and our first research began. Last summer I went to the Summer School of Modern Mathematics in Bremen, which is also very international as the Heidelberg Laureate Forum. It was great to meet many interested young researchers and to hear their stories, which I am looking forward to in Heidelberg, too. Moreover, I am excited how the talks by the laureates will be and to hear about very recent research that was awarded Fields medals. Which laureates present at the forum would you really like to talk to and what do you want to ask them? I would really like to talk about some of the fundamentals of mathematics: How will the concept of ‘proof’ develop? With new methods such as computer verification, which also has a wide range of applications in computer science, mathematics can be put on another basis. I think this is a topic that will be interesting to discuss with all the Laureates. Who were your most important mentors and what lessons did they pass on to you? There is one person that is so essential to my personal development, that I just could not write this interview without mentioning him before – Dierk Schleicher. Without him, I would not have applied to the HLF, done all the research that I did or studied at the same place. I think one lesson that I learned from him is that if you do cool things, you will always find a way to pursue them, no matter what barriers you stumble across. Why is Hilbert’s Tenth Problem worth studying from a practical point of view? It turns out that many mathematical questions have a formulation in terms of Diophantine equations – which makes Hilbert’s tenth problem interesting, as it tells something about the structure of mathematics itself: For certain kinds of problems there is just no general way to solve them all. This is definitely an interesting result that is ‘practical’ for mathematics, however, I am not aware if there are any applications in other subjects. Jens-Steffen Scherer is a neuroscientist and science communicator. Besides his studies at the University of Oldenburg, he works as an author for the Südwestrundfunk (SWR) and for the National Institute for Science Communication (NaWik). In 2018 Jens-Steffen won the 8th Science Slam of Oldenburg. ______________________________________________________________________________________________ Jens-Steffen Scherer ist Neurowissenschaftler und Wissenschaftskommunikator. Neben seinem Studium an der Carl von Ossietzky Universität Oldenburg arbeitet er als freier Autor für den Südwestrundfunk (SWR) und beim Nationalen Institut für Wissenschaftskommunikation (NaWik). 2018 gewann Jens-Steffen den 8. Oldenburger Science Slam.